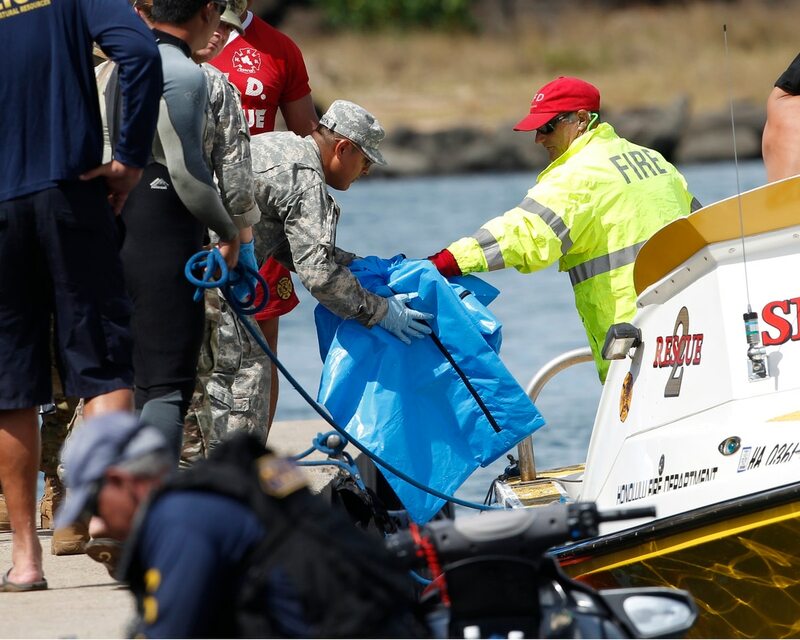 HONOLULU — An Army investigation into a fatal helicopter crash found the pilots became disoriented during nighttime training off Hawaii last year. All five soldiers on board were killed in the Aug. 15, 2017, crash. The pilots experienced “spatial disorientation,” which is when a pilot can’t determine a current position and altitude relative to the Earth’s surface, the Honolulu Star-Advertiser reported Friday. The newspaper obtained the results of the investigation through a Freedom of Information Act request. Profiles of the five soldiers killed in the Aug. 15 helicopter crash in Hawaii. The crash occurred off Oahu's Kaena Point after the helicopter and an accompanying chopper left Wheeler Army Airfield for night-vision goggle training. The U.S. Army Combat Readiness Center at Fort Rucker, Alabama, conducted the investigation. The Army is also working on a second investigation it will make public. Chief Warrant Officer 3 Brian Woeber, left, and Chief Warrant Officer 2 Stephen Cantrell, went missing Aug. 15, 2017, after the Black Hawk helicopter they were on crashed off the coast of Hawaii. 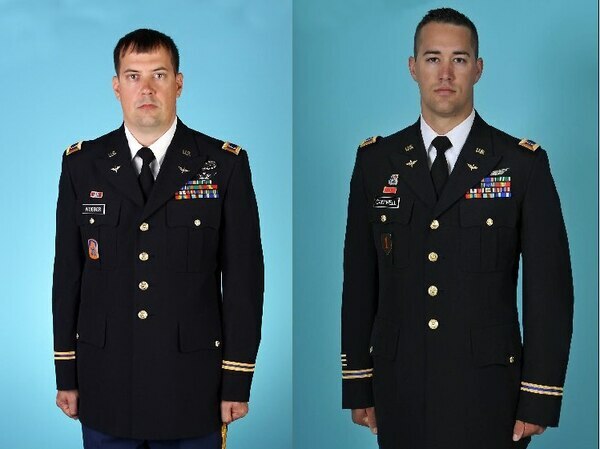 Chief Warrant Officer Brian M. Woeber, 41, and Chief Warrant Officer Stephen T. Cantrell, 32 were declared deceased by officials in late August 2017. The Armed Forces Medical Examiner previously made the determination for 1st Lt. Kathryn M. Bailey, 26; Staff Sgt. Abigail R. Milam, 33; and Sgt. Michael L. Nelson, 30, after trace remains discovered among floating debris were matched to their DNA. All the crew members who were with the 2nd Battalion and the 25th Aviation regiment died of multiple blunt force traumas, the report said. The other two crew members are still listed as duty status - whereabouts unknown. The two Black Hawks were flying in tandem at about 1,000 feet (304 meters) and 126 mph (202 kph) when the aircraft that crashed entered a right turn. Its nose began to slowly pitch down and the helicopter began to climb slightly. About nine seconds into the turn, the aircraft's right bank and downward nose pitch increased until it rolled to the left. It then abruptly rolled back to the right and descended with its nose down, the report said. It fell in the water, broke into multiple pieces and came to rest on the ocean floor about a mile west of Kaena Point.